As we enter the final days of the Obama administration, the uncertainty and controversy over our President-elect only becomes more of a reality. 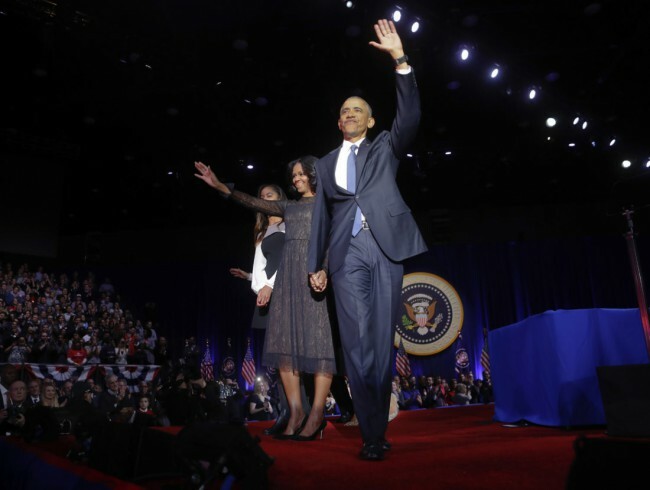 The final speeches from President Obama and First Lady Michelle Obama are in the books. 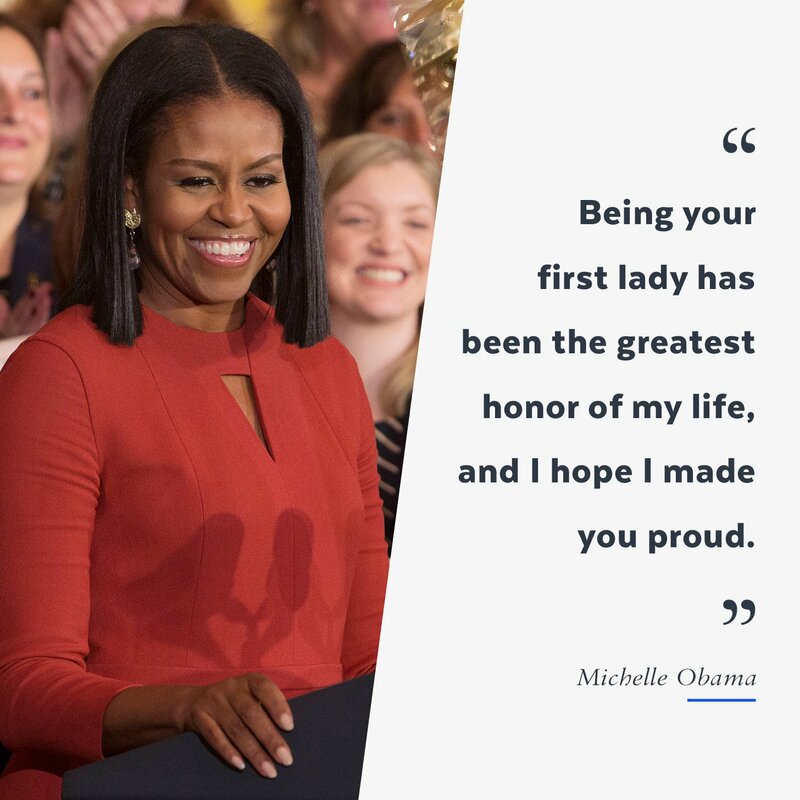 But FLOTUS was not the only one who made us cry or inspire us for a better future. On January 10th, President Obama made his final public remarks as President in Chicago, where it all started 8 years ago. President Obama stated how proud he was to have brought America out of the worst economic recession “If I had told you eight years ago that America would reverse a great recession, reboot our auto industry, and unleash the longest stretch of job creation in our history…,” Obama said. He also expressed how proud he is to have been a part of creating a better way of life for the American people and people around the word “If I had told you that we would open up a new chapter with the Cuban people, shut down Iran’s nuclear weapons program without firing a shot, and take out the mastermind of 9/11… If I had told you that we would win marriage equality, and secure the right to health insurance for another 20 million of our fellow citizens — you might have said our sights were set a little too high”. 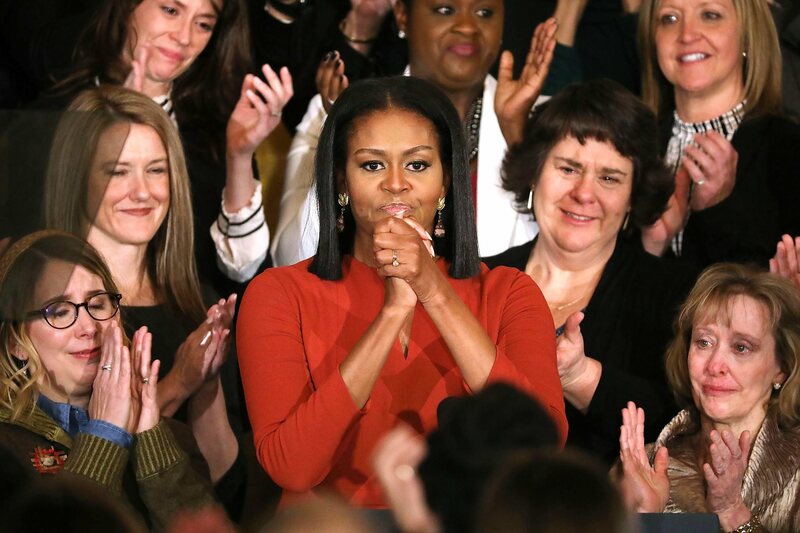 As the crow looked on, wiping away tears, the speech received the loudest applause, when an emotional Obama paid tribute to his wife Michelle and his daughters Malia and Sasha. He stated “You took on a role you didn’t ask for and made it your own with grace and grit and style and good humor,”. The crowd also erupted in applause when he thanked his right hand man, Vice President Joe Biden for his continued support and work during their administration. 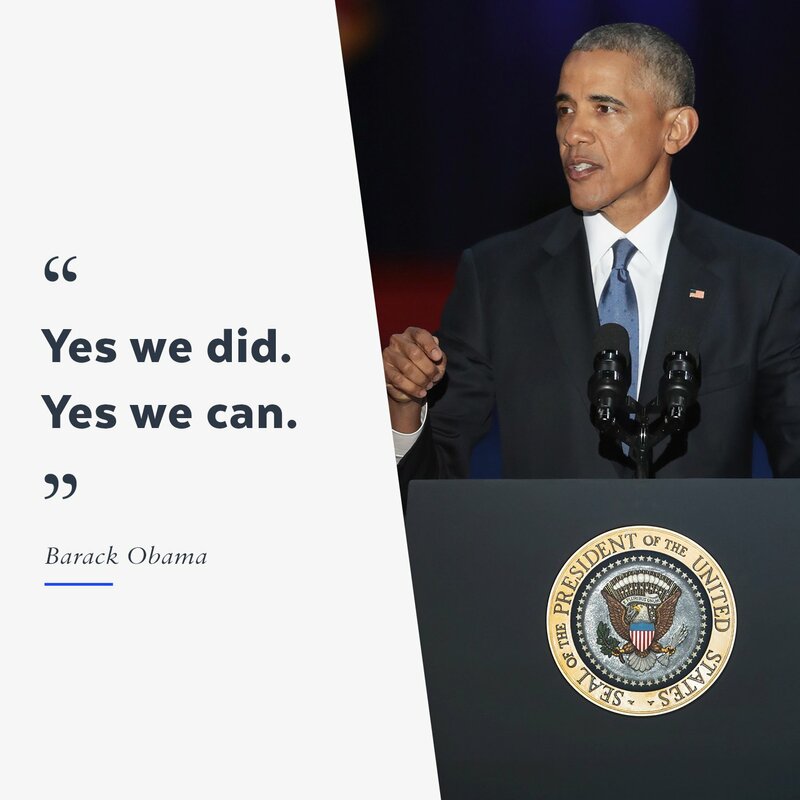 As we bid farewell to our 44th President, he reminded us of the hope we started with in 2008, “Yes we can” and he inspired the American people and our youth, that “Yes we did”.